Sep 4, 2012 by Paul O'Connor Comments Off Posted In: Say What?! …but even by 1960s standards, it’s kind of oblivious to smoke while recharging your damaged heart through an electrical outlet! 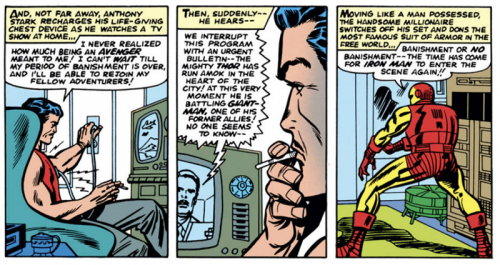 Four out of five doctors may have recommended smoking for clearing out your T-Zone, but c’mon, Tony! It’s bad enough that your ticker is threatened by shards of Commie steel without sucking down a Camel at the same time!